* Enjoy our complimentary Moko's Kids Club, Teen Zone, Little Dolphin's Mini Water Park, Activities Hut, snorkeling, fish feeding, kayaking, stand-up paddle boarding, tennis, beach volleyball, beach soccer, air conditioned gym, outdoor fitness trail and much more! Two Bedroom Beachside Suite with full kitchen, lounge, spa bath, sun deck ideal for 2 adults and up to 4 kids or teens to 16 years old. For the same price as a single Garden Room, the air-conditioned Two Bedroom Family Suite offers a master bedroom with queen size bed and its own flat screen TV while the second bedroom has a double bunk bed. The kitchenette offers a stove-top, microwave and full-size refrigerator alongside a small dining area. The bathroom features a bath tub that will be lots of fun for the kids or for Mum to simply relax in with a glass of bubbles at the end of the day. The Two Bedroom Family Suite does not have an outdoor veranda or garden aspect, however, it is only a few steps away from the beach and Aroa Lagoon Marine Reserve. Two Inter-connecting Garden or Beachfront Rooms with a complimentary microwave can accommodate up 2 adults and up to 4 kids or teens up to 16 years old! If you need even more space, we can inter-connect up to 10 rooms! UPGRADE TO A THREE BEDROOM PRIVATE POOL VILLA! Why not upgrade to the Three Bedroom Private Pool Villa "Onemaru" with private pool, BBQ area, playground, games room able to accommodate up to 10 people in two master bedrooms with ensuites and a large kids bunkroom! ASK US ABOUT OTHER FAMILY-FRIENDLY ACCOMMODATION OPTIONS! The Rarotongan Beach Resort is uniquely set up to host wonderful family holidays. Ask us about our other options such as the open-plan Grand Beachfront Suite with kitchen and space for 2 adults and 4 kids or the Deluxe Beachfront and Beachside Suites or single Garden or Beachfront Rooms to best meet your family's needs. Please contact us to provide you with a tailored quote using the MEMBERS ONLY BEST AVAILABLE RATES for your preferred room type and length of stay as well as any other requirements such as wedding ceremonies, family celebrations and reunions or renewals of vows. CHECK OUT OUR VIDEO, SNORKELLING MAP & ACCOMMODATION OPTIONS! Please scroll down and view our video, snorkelling map as well as our wide range of accommodation options. Fill in the form below so we can email you a tailored quote using the BEST AVAILABLE MEMBERS ONLY RATES! We look forward to welcoming you and your family to THE RAROTONGAN BEACH RESORT & SPA!!! WHY YOU & YOUR FAMILY NEED TO ENJOY A MEMBERS ONLY TWO BEDROOM FAMILY BEACH HOLIDAY WITH SUN, SAND & SNORKELLING IN AROA MARINE RESERVE @ THE RAROTONGAN BEACH RESORT! Do your kids need a digital detox from their smart phones? Do you yearn to leave the chores at home and enjoy a real resort holiday? Would you like some quality family time? With family & friends too? Do you want to create wonderful family holiday memories for your kids to treasure forever? Here's your dream family adventure! 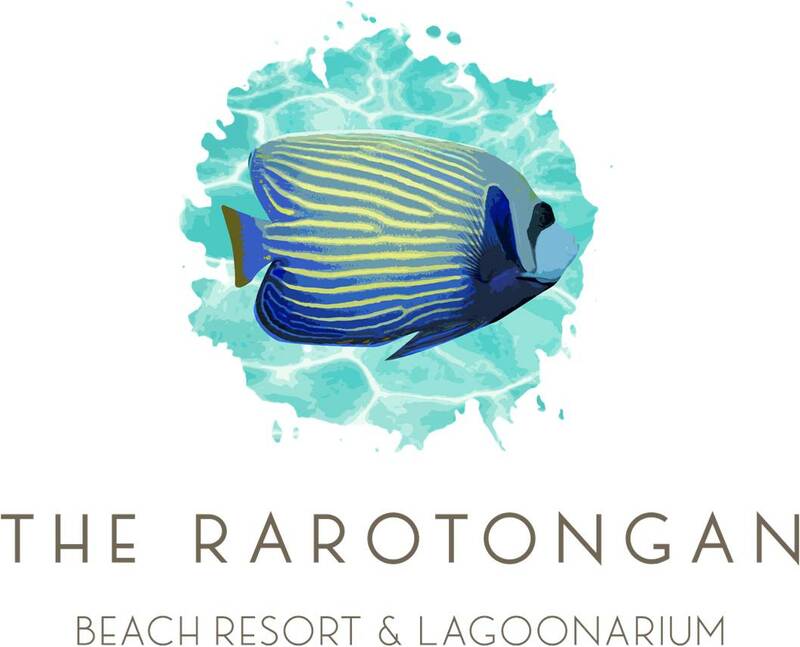 Unplug the kids from all their electronic gadgets and re-connect as a family at The Rarotongan Beach Resort & Spa, located on the pure white sands overlooking Aroa Marine Reserve which is the best marine reserve located directly in front of any resort in the whole South Pacific. Swap your daily grind for some fresh new experiences as a family enriching your lives and deepening your family bonds through engaging with the easily accessible nature and authentic local culture at The Rarotongan Beach Resort & Spa. BRING FAMILY & FRIENDS FOR A REUNION IN PARADISE! Maybe bring the grandparents along too? Why not bring your best friends and the kids best friends as well on your MEMBERS ONLY Two Bedroom Sun, Sand & Snorkeling in Aroa Marine Reserve Family Beach Holiday? So often, we don't have the time for a relaxed reunion of family and friends in our busy lives. A MEMBERS ONLY Sun, Sand & Snorkelling in Aroa Marine Reserve Family Beach Holiday @ The Rarotongan Beach Resort & Spa is the perfect way to reconnect with those you love. Almost 20 years ago, The Rarotongan worked with the local chiefs and community to establish the Aroa Marine Reserve. During that time, the marine life has re-generated exponentially so that it is now like a gigantic aquarium with abundant, friendly fish that are used to people swimming with them in the sparkling clear waters. The pristine Aroa Marine Reserve is the longest established marine reserve on Rarotonga and was recently re-dedicated in a moving ceremony led by the local chiefs involving local community members of all ages from school children to village elders. Aroa Marine Reserve is the most diverse marine eco-system on Rarotonga. It is a natural fish breeding site and marine biologists have identified hundreds of different species of fish and other marine life in the reserve including Butterfly Fish, Picasso Trigger Fish, Moorish Idol, Parrot Fish, Sunset Wrasse, Unicorn Fish, Squirrrel Fish, Lion Fish, Octopus, Snowflake Eels, Moray Eels, Starfish, Trevally, Goat Fish, Emperor Angel Fish and occasionally even Turtles and Rays visit the reserve! Discover new and different species of fish and marine life each time you go out! Night snorkelling is a special treat as the species active at night are different from those in the day. Watch out in particular for the Parrot Fish fast asleep in their jelly cocoon sleeping bags! World-class snorkeling, both day and night, is easily and safely accessible for all ages and swimming abilities straight off the white sand beach directly in front of The Rarotongan Beach Resort & Spa with all day sun and beautiful sunsets. With the water temperature between 24-30 degrees, it's simply the best marine reserve for kids to happily spend hours exploring this marine wonderland especially with an underwater camera! Kayaking and Stand-up Paddleboarding guided tours or on one's own are also very popular. You can also see if you would like to take the next step and learn to dive through a complimentary "Try Scuba" lesson in the pool. The geology of the Aroa Marine Reserve means that the entire lagoon is naturally flushed with fresh ocean water twice a day on the change of the tides and so is kept pure, clean and crystal clear. THE ONLY RESORTS ON AROA MARINE RESERVE! As the only resorts located directly on the Aroa Marine Reserve, The Rarotongan Beach Resort & Spa and Sanctuary Rarotonga - on the beach take particular care to maintain the cleanliness of the waters in the Aroa Marine Reserve Lagoon. EXPERIENCE MORE AT THE RAROTONGAN! * Learn to make your own Flower Garland "lei" and dance the island "ura"
FUN FOR MUM & DAD TOO!